Arrive at the Phoenix Airport and meet your Tour Director. Board a deluxe motorcoach and travel north to beautiful Sedona. This upscale resort, retirement and artist community is set amongst the red-hued rocks of Oak Creek Canyon. Your home for the next five nights is a picturesque resort style property in the Sedona area. Tonight enjoy a Welcome Dinner with fellow travelers. 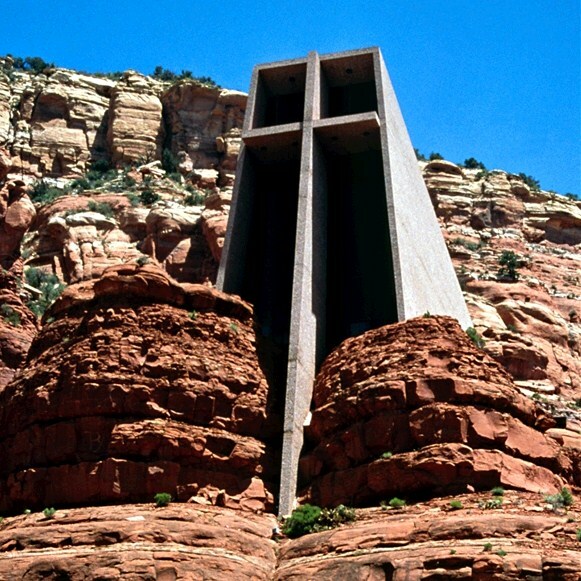 Start a great day with a Sedona Trolley tour featuring the Chapel of the Holy Cross and Airport Mesa for spectacular views of the Sedona area. The trolley guide will give you insight into the various rock formations, indigenous vegetation and history of this remarkable area. Later visit Uptown Sedona and the Spanish-Mexican Village of Tlaquepaque to explore these wonderful areas full of art galleries, shopping opportunities and restaurants. Maybe take an optional Guided Jeep Tour into the Sedona backcountry. This evening enjoy Sedona at your own pace. Begin an unforgettable day with a drive through amazing Oak Creek Canyon, a sixteen mile long canyon known for its spectacularly colored white, yellow and red cliffs dotted with pine, cypress and juniper. Then arrive in Williams to board the Grand Canyon Railway for a nostalgic two-hour train journey that delivers you to the awe-inspiring South Rim of Grand Canyon National Park for free time and lunch on your own. Six million years in the making the Grand canyon's dyynamic colors and textures inspire reflection at nature's power and beauty. 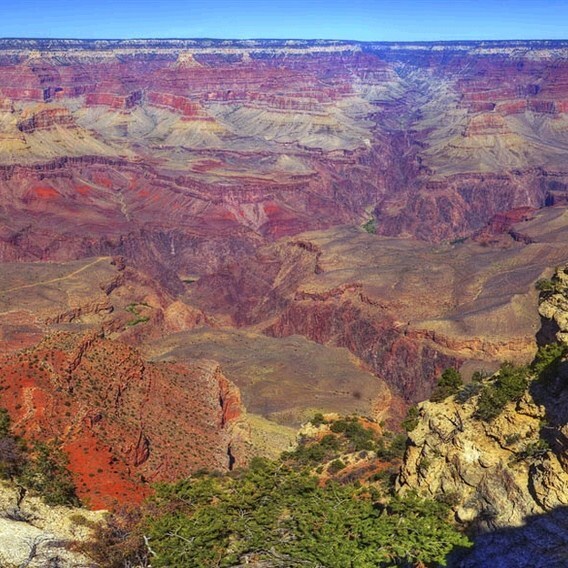 Later board your motorcoach to see the Grand Canyon from other points of interest. Arrive in Flagstaff for dinner at the lively Black Bart's Steakhouse & Saloon. After dinner return to Sedona. This morning visit the Montezuma Castle National Monument which contains ruins of a cliff dwelling built in the 12th and 13th centuries by the Sinagua Indians. Later visit the old mining town of Jerome, once a virtual ghost town, now restored with shops, museums and art galleries. 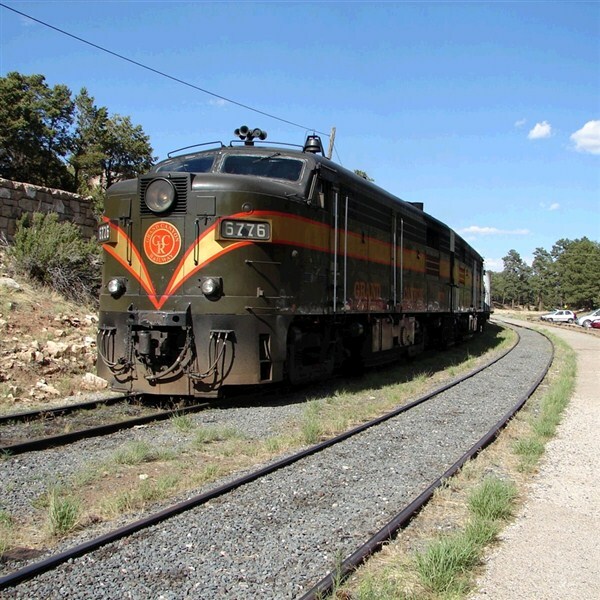 Next travel to Clarkdale to board the Verde Canyon Railroad also known as the Wilderness Train. The spectacular four-hour ride in a First class Railcar takes you between two national forests, past crimson cliffs, over old-fashioned trestles and through a 680-foot tunnel. Early evening return to Sedona. Today is at leisure in Sedona. Enjoy the wonderful amenities of your resort. Maybe spend the day shopping, sightseeing on your own or on a local golf couse. An optional tour will be available. This evening experience a Farewell Dinner at the Blazin' M Ranch where you will enjoy a hearty chuckwagon Supper and Western Stage show. This morning travel to Old Town Scottsdale where Western store-fronts recreate an aura of the past. Later arrive at the Phoenix airport for your flight home filled with unforgettable memories of your GreatTrains & Grand Canyons tour. Includes: Roundtrip airfare from Pittsburgh Int'l Airport, motorcoach transportation, lodging, five breakfasts, three dinners, sightseeing and admissions per itinerary, hotel transfers, professional tour director, baggage handling and taxes. Note: A valid government issued I.D. or drivers license with birthdate is required. Walking Code 3: This tour includes moderate physical activity. The itinerary blends some longer days with shorter days and more leisure time. Walking tours, as well as walking slightly longer distances, up stairs or on uneven walking surfaces should be expected. Insurance: Travel Insurance is optional. Inquire at time of booking.